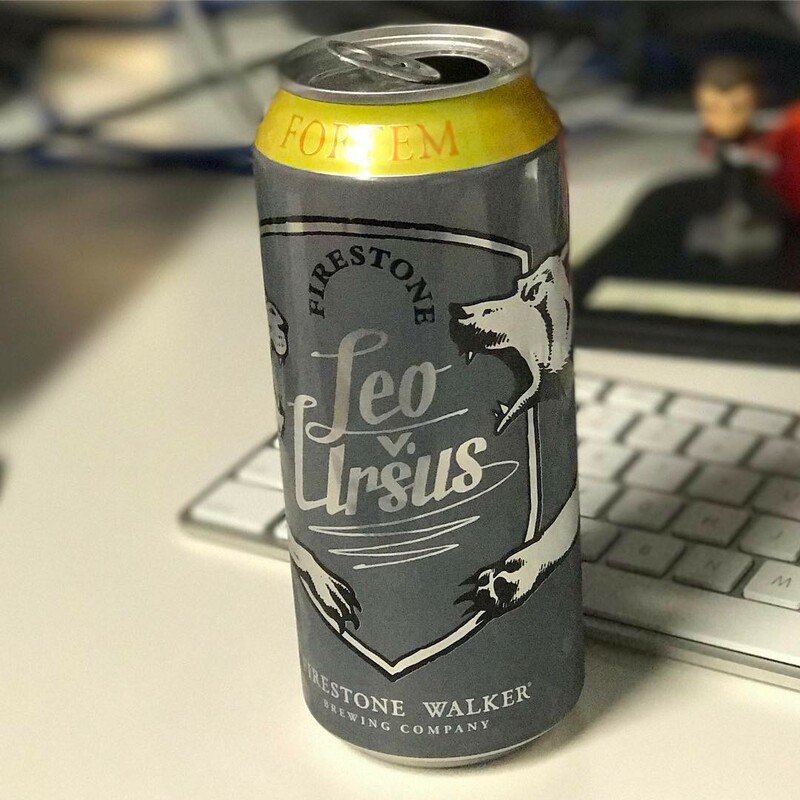 Review: Leo v. Ursus: Fortem IIPA by Firestone Walker Brewing Co.
Leo v. Ursus: Fortem IIPA by Firestone Walker Brewing Co. This is the first Firestone Walker beer I’ve had in a while that had a little bit of a different feel to it. Sure, I still got a lot of the Firestone Walker “feel” to it which I think can be attributed to the malt bill and yeast strain, but this felt a little more aggressive. Fortem was really really tasty. I don’t like the double positive here, but it was really good. I wasn’t sure what I was getting into, and I didn’t pour it into a glass since I was at work, but I really found myself enjoying the flavors that the can was giving me. I think I would love to try this out of a wide glass and see what other hop notes I could pull out of the nose. From the crucible of conflict come beers of great intention. The sparring Lion and Bear not only speak to the unorthodox rapport between founders Adam Firestone and David Walker—they also hearken to the heart of our brewery culture, which for 20 years has been forged by often opposing forces in pursuit of the perfect beer. These forces now culminate in Leo v. Ursus, a chronology of beers that shift stylistically with each limited quarterly release. These are bold creations, often hoppy and intense, but always with a native sense of balance. Many also address “wish lists” expressed to us by loyal fans. Fortem is a new-age imperial IPA that draws upon a range of influences, all while exhibiting DNA from our own forays into the IPA style. As such, it blends newer hop varieties from the Pacific Northwest and Hallertau, Germany along with pale malt, wheat malt and flaked oats for a full body and rounded mouthfeel. Fortem has been left unfiltered for a full hop impact. 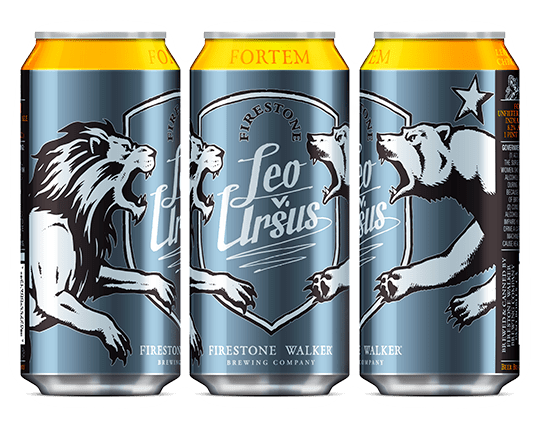 Leo v Ursus: Fortem from Firestone Walker on Vimeo.